"Intelligence and multi-tasking capabilities are the cornerstones of the latest update in Apple's main operating system for mobile devices. 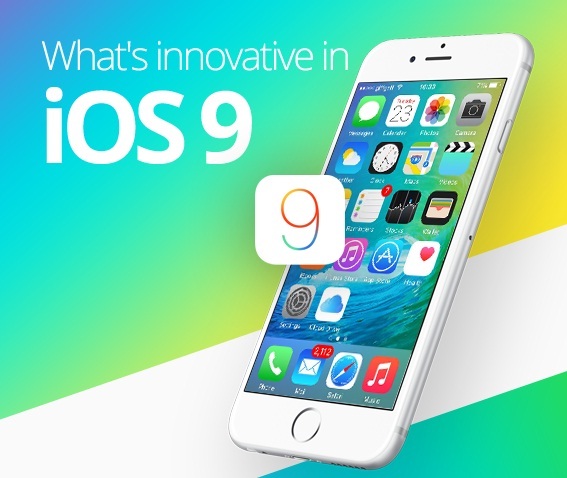 iOS 9 Firmware for iPhone, iPad and iPod Touch is also optimizes a lot of the core elements and processes of mobile devices, which, in the end, only serve to enhance user experience, save a lot on storage space, and extend battery life. It is for these reasons that Apple is quite confident that many users should update to their latest operating system release. You can also read the detailed Review of iOS 9 Features, Functions and Applications for iPhone, iPad and iPod Touch in an Infographic attached below. Many of the features that iOS 9 incorporates and introduces are focused on addressing the daily. Apps ranging from News and Map to Notes and Wallet are proof enough of this. Indeed, the updates speak for themselves as, judging from their features (they are summed up and listed in the infographic below), these are apps that Apple has deemed important. Not only does this streamline day-to-day activities, but also serves to make multi-tasking possible with the new Slide Over and Split View capabilities of iOS 9. As for the intelligence aspect, Siri has been greatly enhanced too. She is now more accessible to users and her search capabilities are now more sophisticated, for Siri now allows users to do more in-depth searches and even makes it possible for users to learn more about the full details of a specific app. You can also have Siri as a guide when using the Map app. To learn more the changes in this latest iOS update, check out the Infographic designed by "Dot Com Infoway" that covers the main aspects of the new iOS update." iOS 10 release is also expected next year 2016.